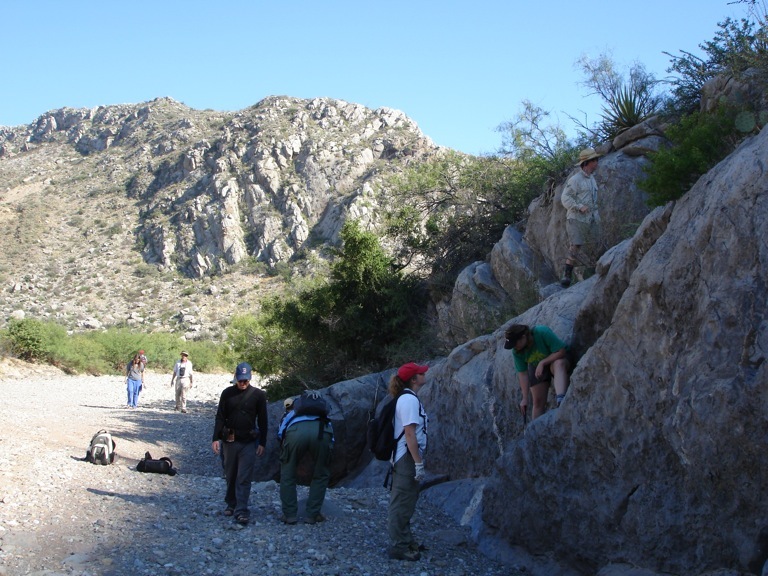 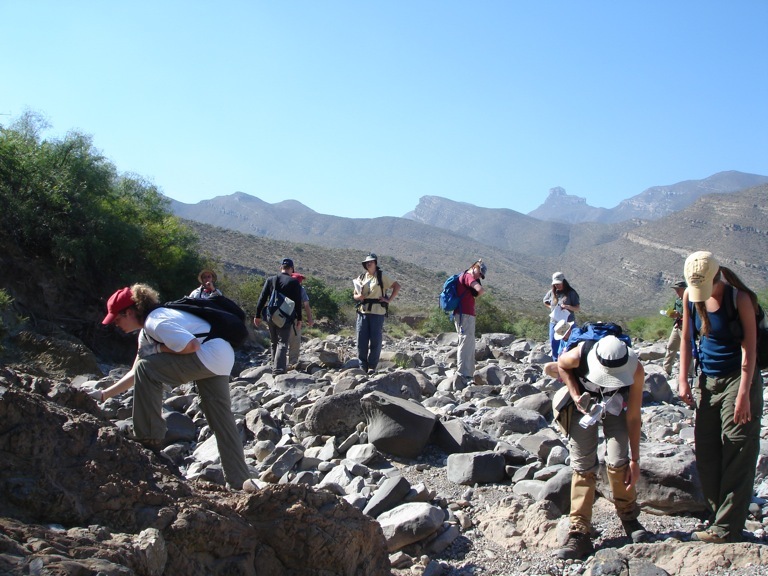 Students and faculty in The University of Alabama Fall 2007 Seminar in Tectonics [GEO 534/634] spent 4 days (Oct 11-14) examining stratigraphic and structural relationships northwest of Hidalgo, Mexico. 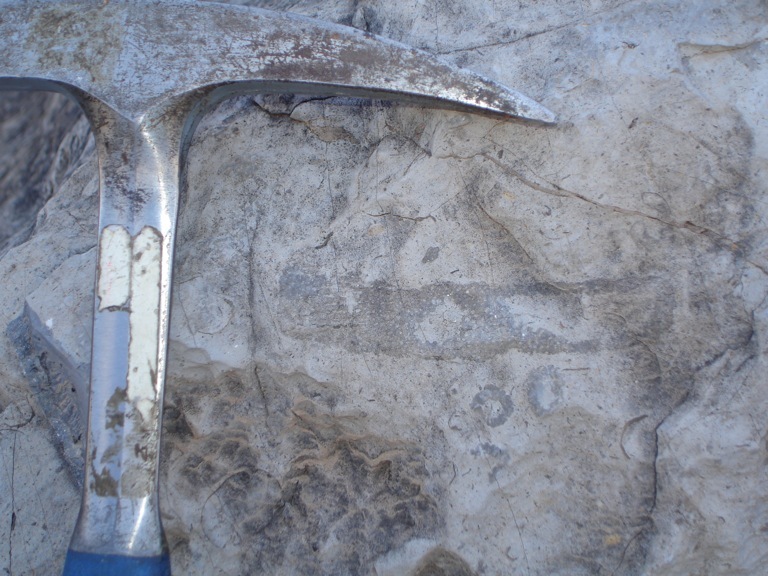 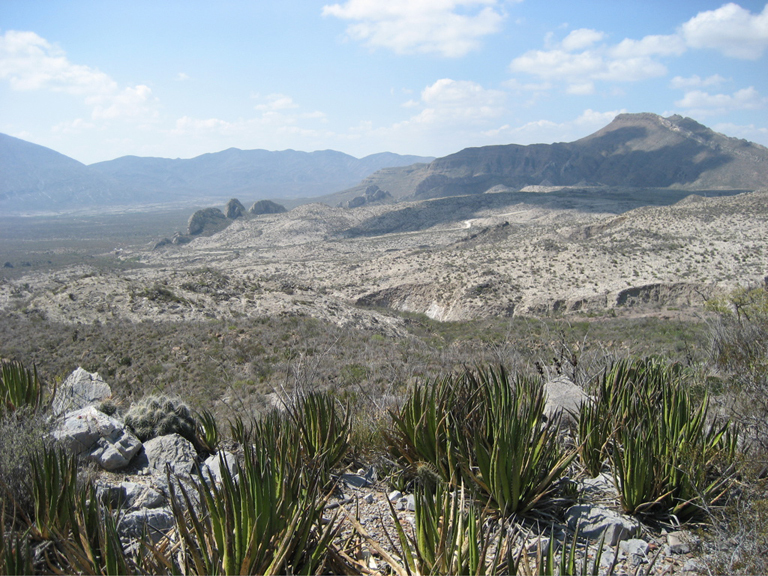 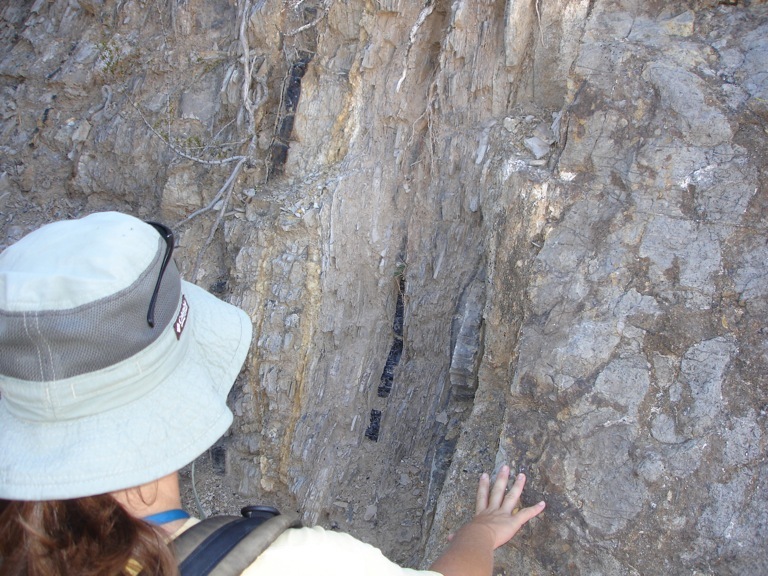 Rental vans were used to obtain access to well-exposed geologic features in the mountainous desert along the east flank of the Sierra Madre Oriental. 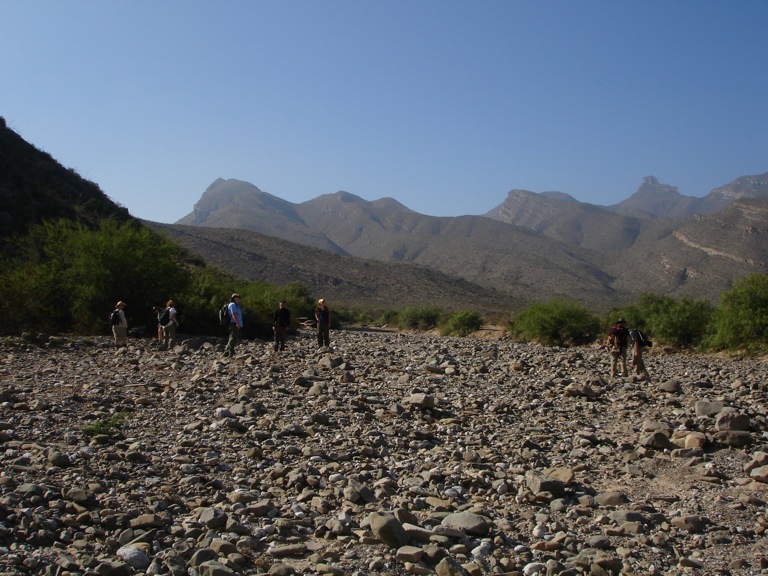 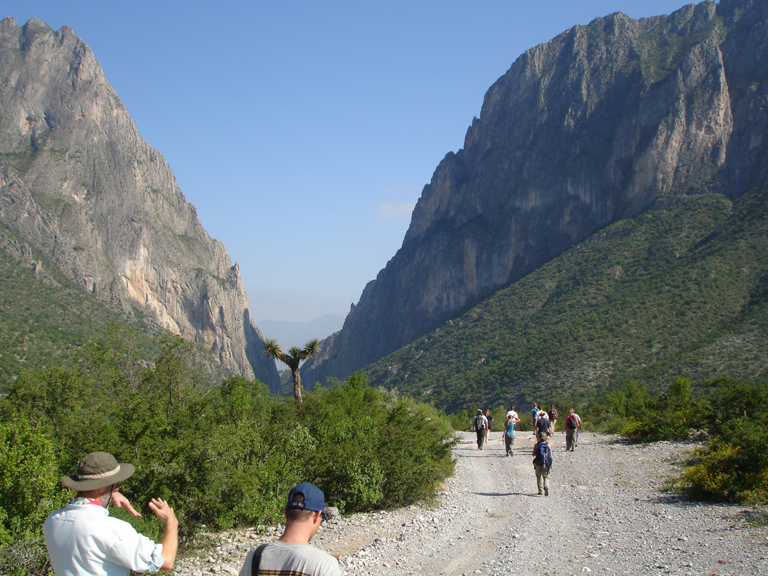 The participants spent three nights at Posada El Potrero Chico on the outskirts of Hidalgo. 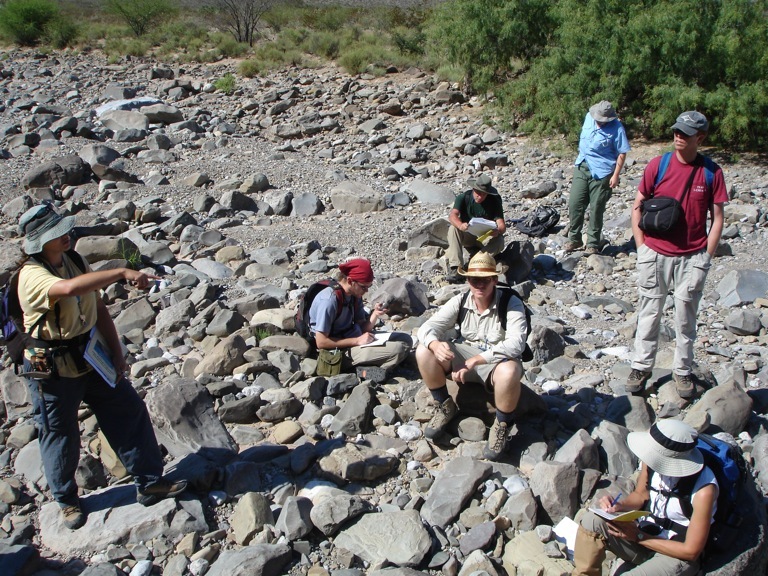 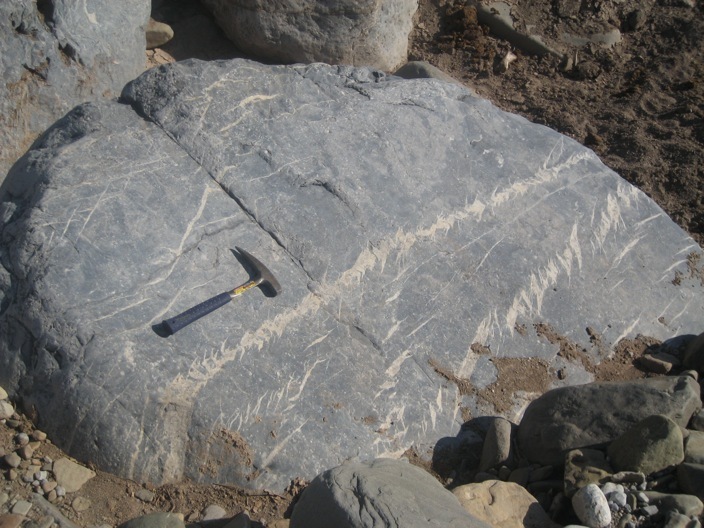 The objective of this field day is to observe the stratigraphic relationship between the El Papalote Diapir and the carbonate lentils (lenticular marine carbonate beds) adjacent to it. 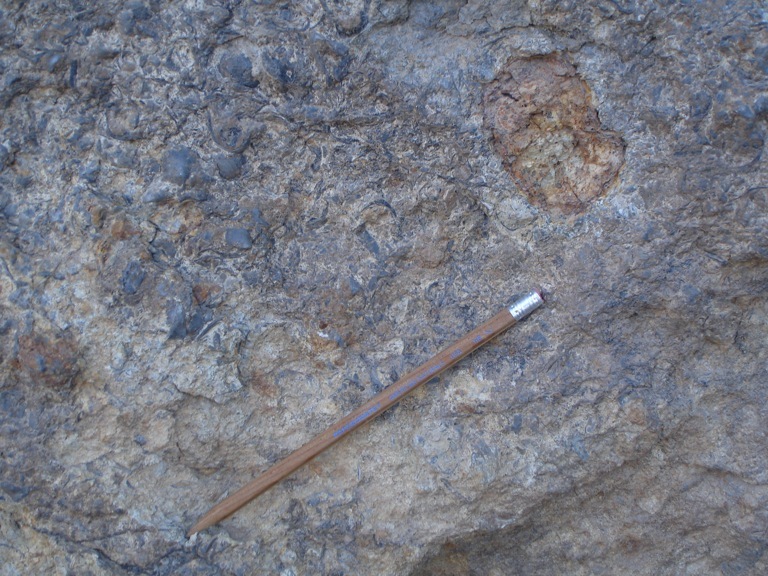 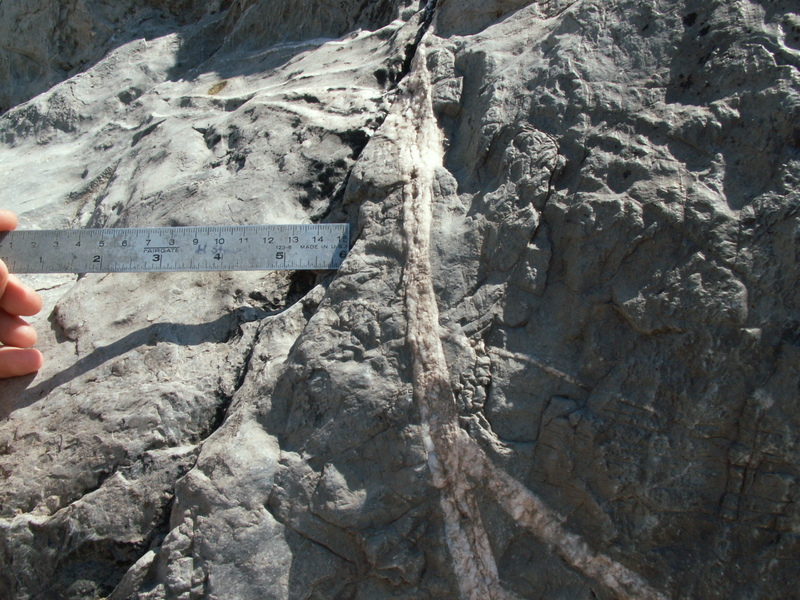 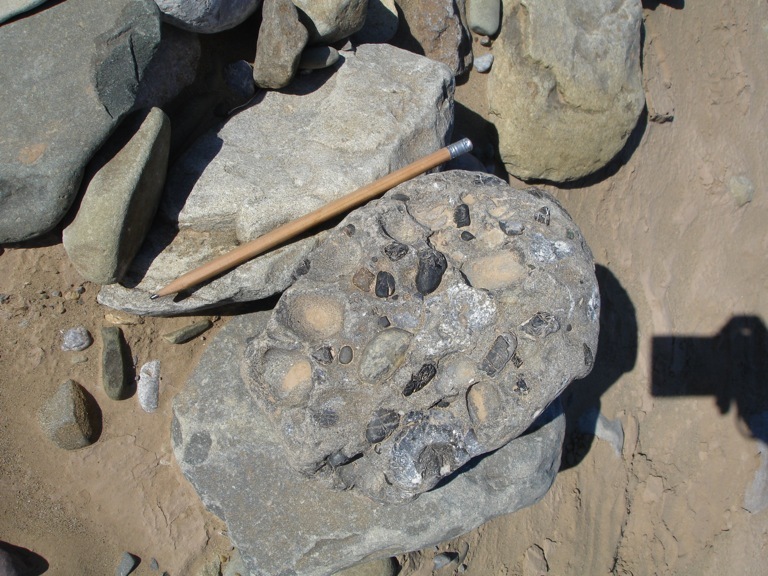 The lentils are depositionally thicker and more deformed near the diapir and are characterized by conglomerate with meta-igneous and limestone clasts. 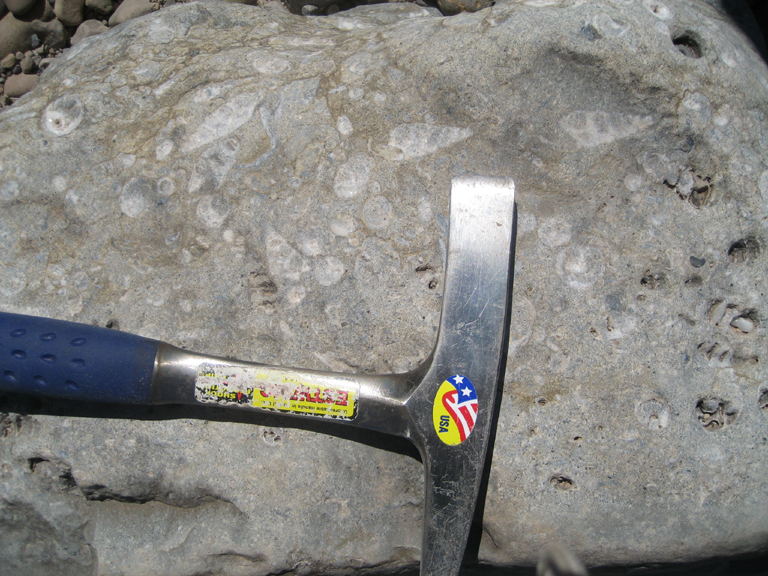 TheseÂ conglomerates are typically overlain by red algal wackestone to packstone or oyster wackestone. 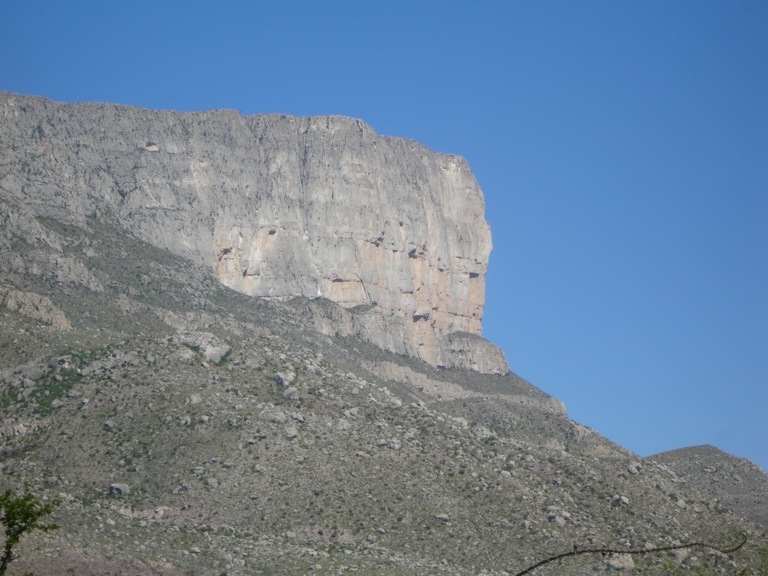 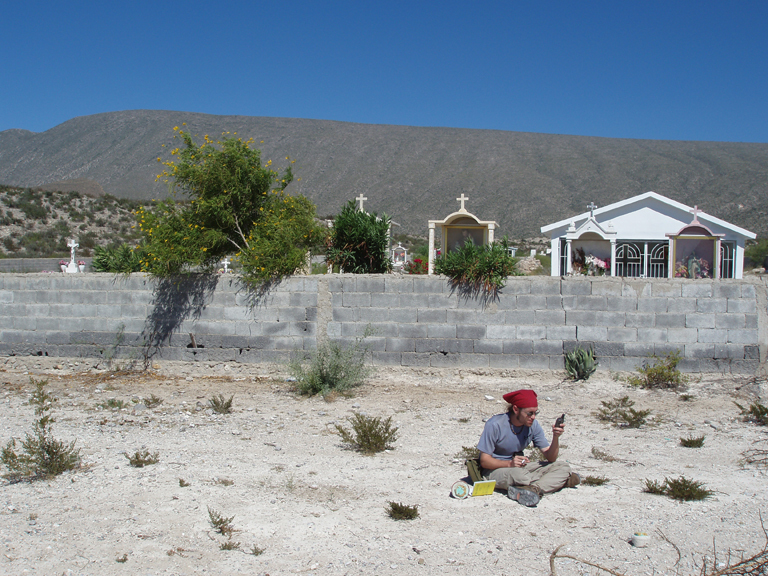 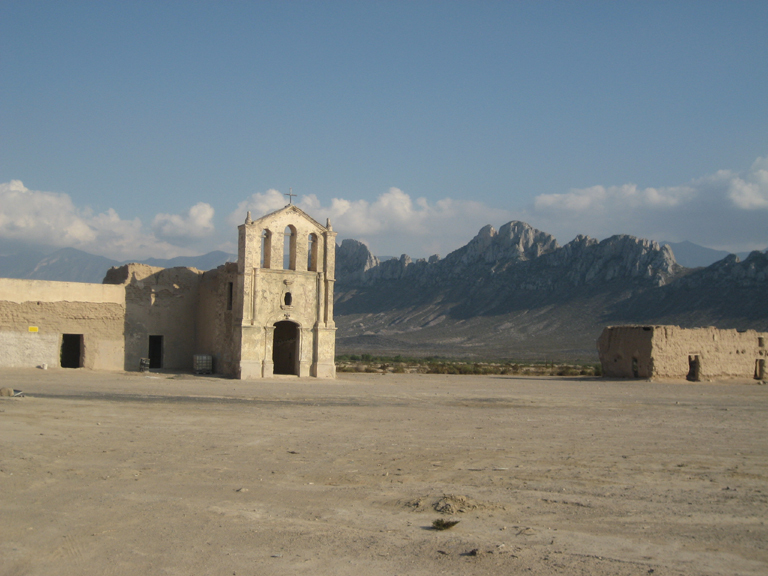 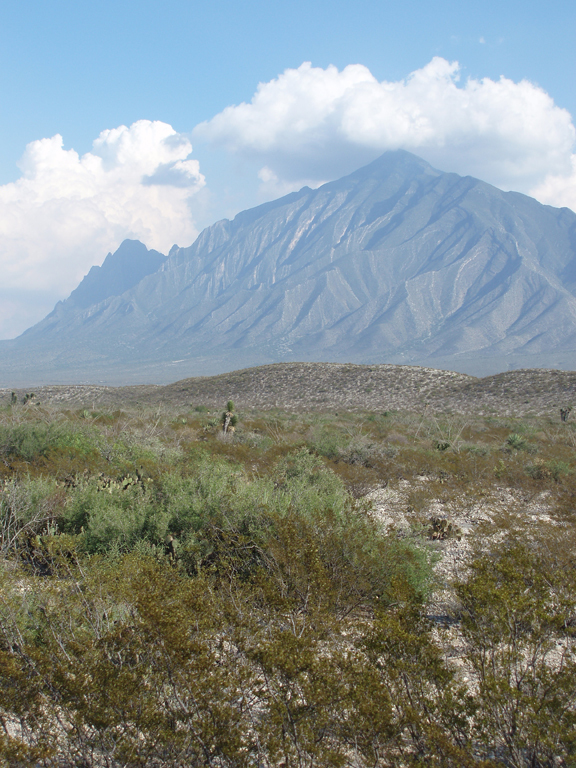 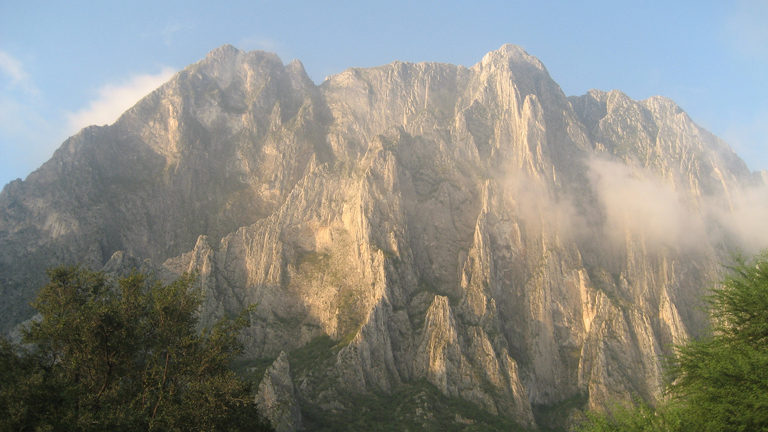 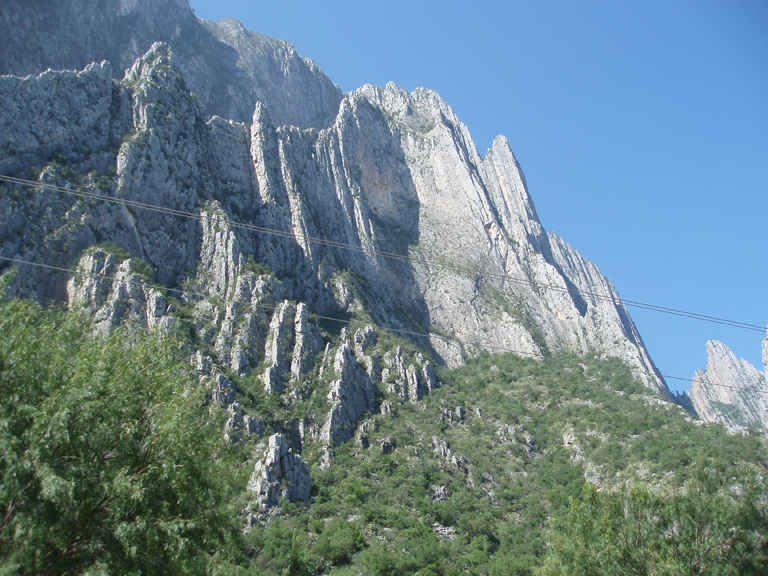 After leaving our base camp at Potrero Chico in Hidalgo, Nuevo Leon, we drove north on Hwy. 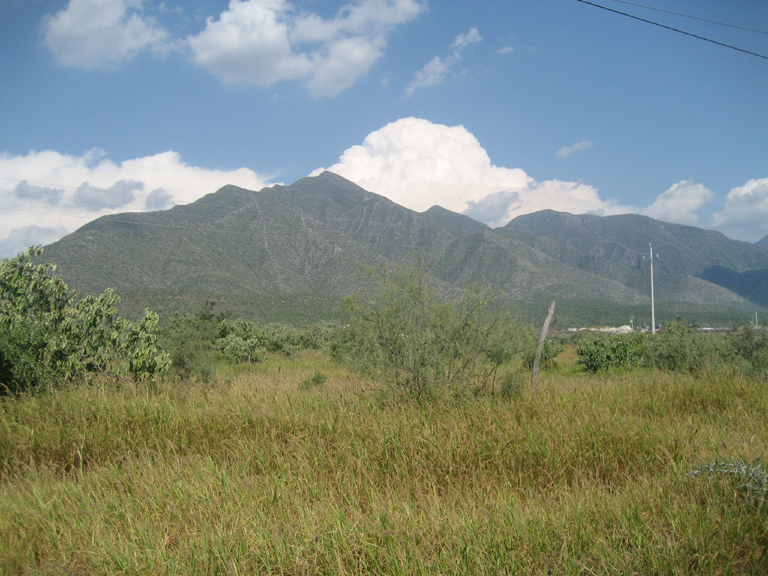 53 to kilometer post 50 and turned left (west) on a dirt road. 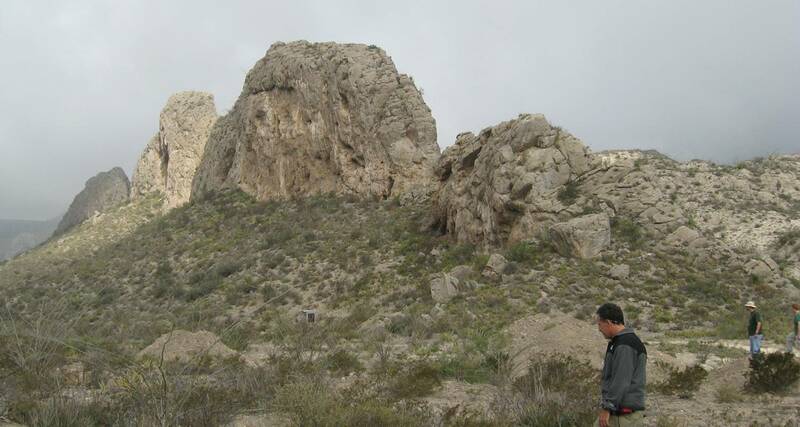 After the explosives sign, bear to the right at the Y intersection and park where the road ends which is very close to Lentil 1 and the northern rim of the diapir. 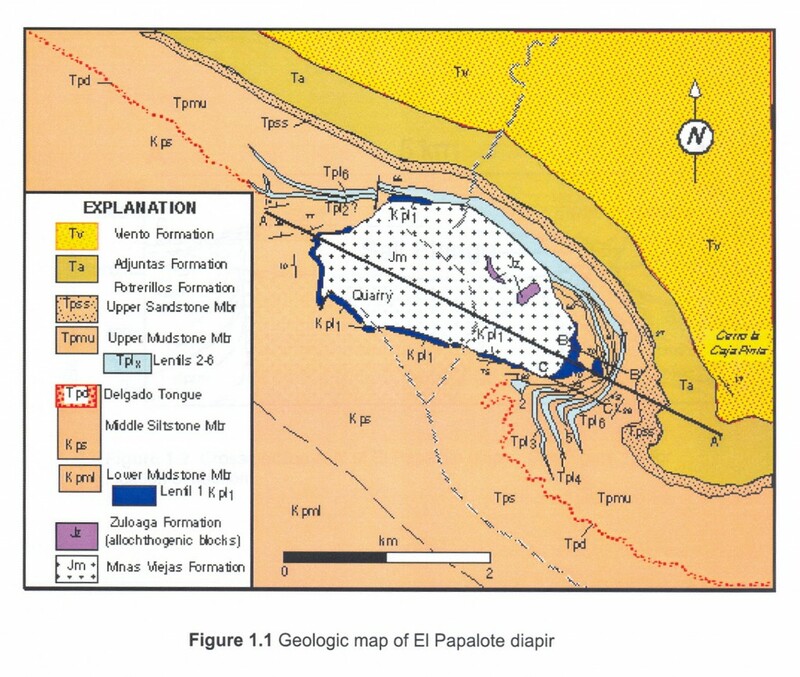 The El Papalote Diapir is an exposed Jurassic massive gypsum deposit which is located in the La Popa Basin in northeastern Mexico. 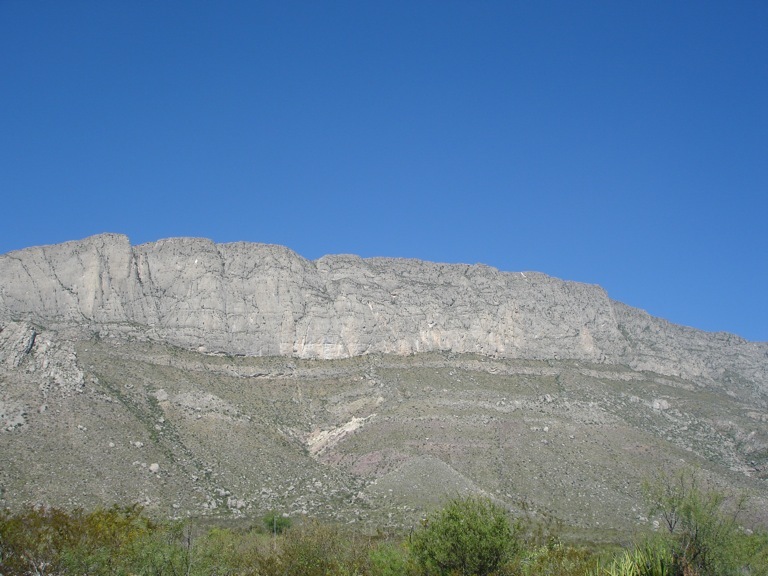 La Popa Basin is a distal part of the Hidalgoan foreland system which includes the Sierra Madre Oriental fold and thrust belt. 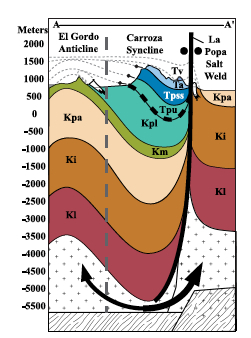 Cross section A-A`. 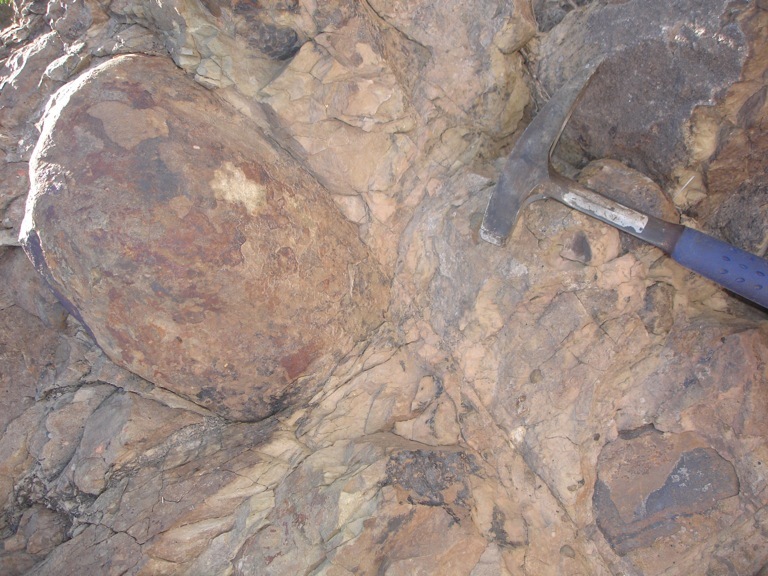 Â FromÂ Giles & Lawton (2000). 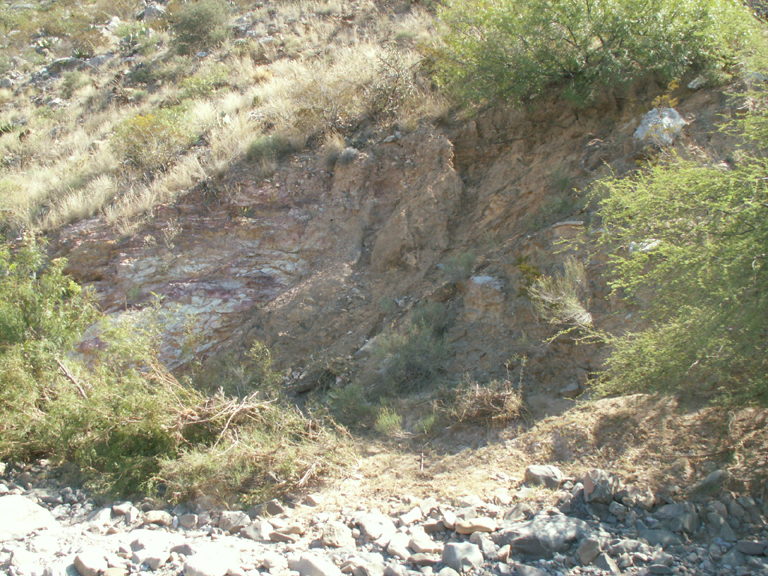 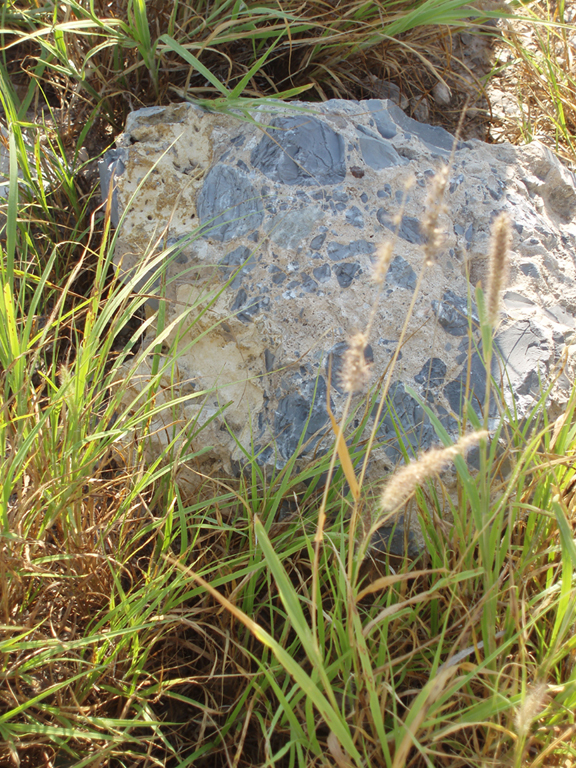 El Papalote Diapir area.Â Lentil 1 outcrop. 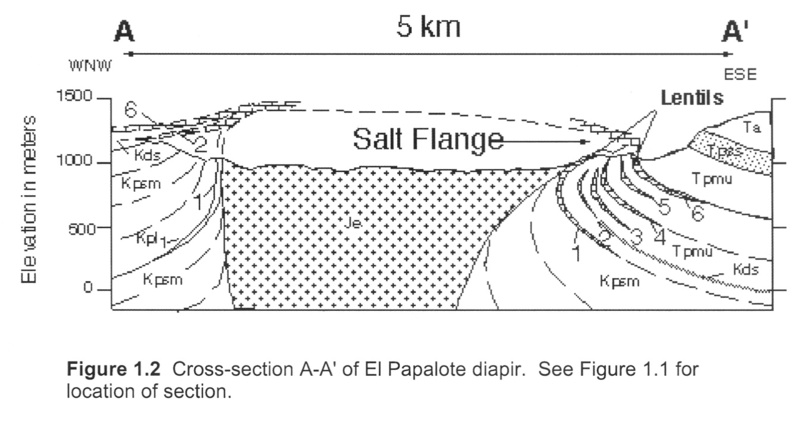 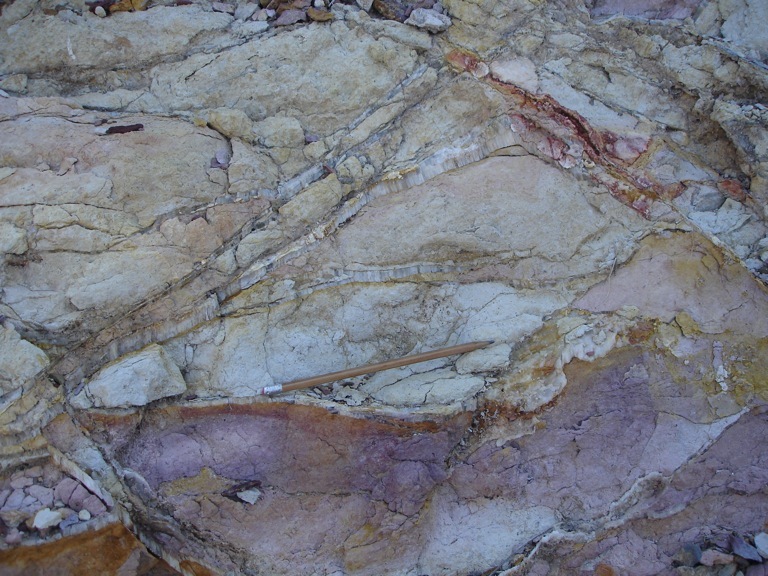 Meta-igneous block exposed within the diapir. 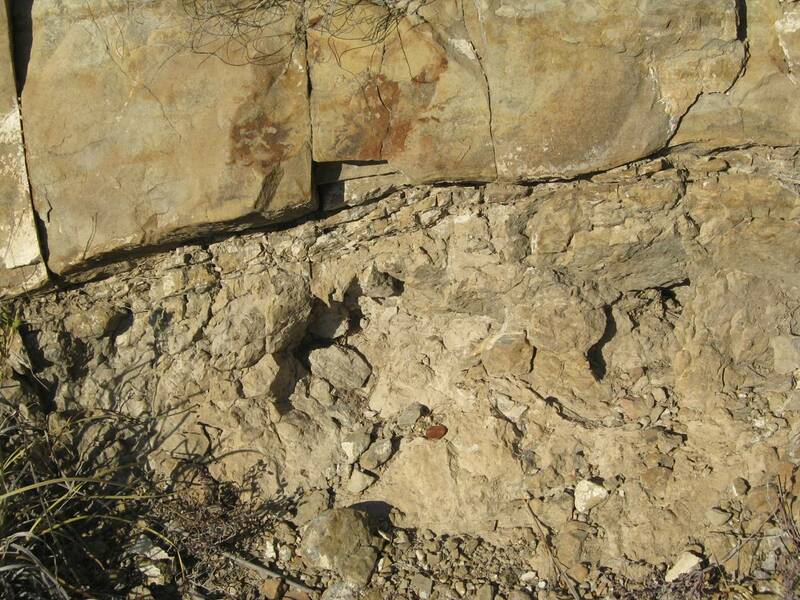 Exposed K-T Boundary in outcrop near the El Papalote Diapir. 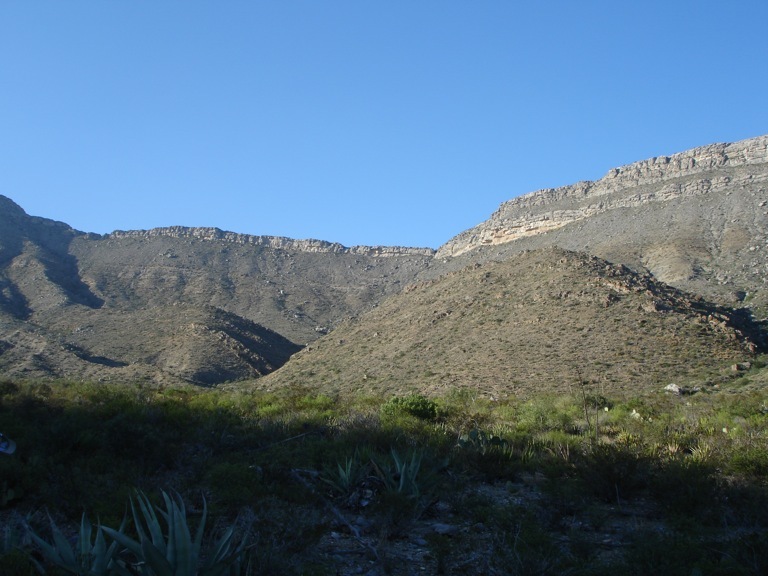 Panoraic shot overlooking the El Papalote Diapir. 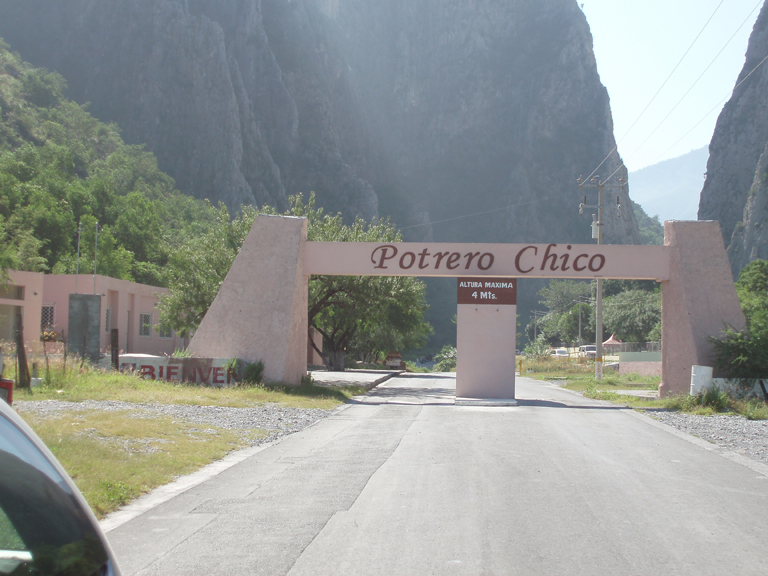 Departing from base camp at Portrero Chico, we visited the La Popa salt weld at two locations and visited the remnant La Popa salt weld at the northern end of the weld. 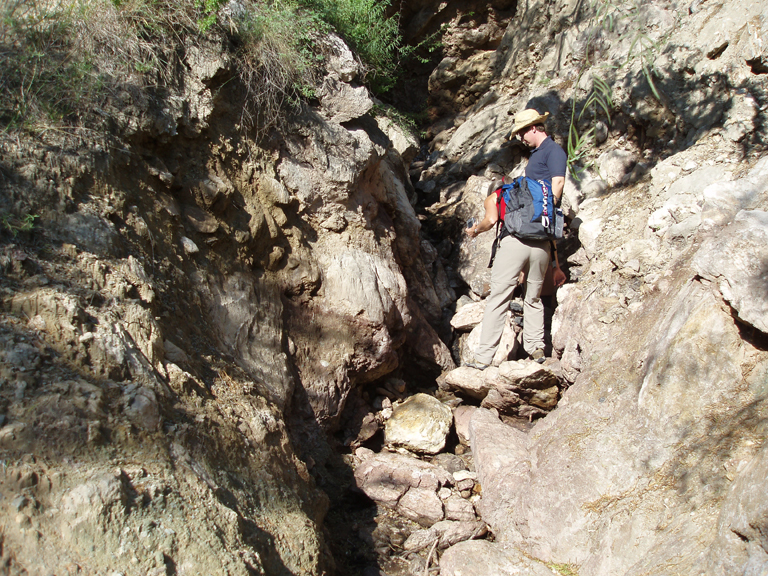 The first stop was at an arroyo where we were able to enjoy an up-close view of the disconformity resulting salt evacuation and weld formation. 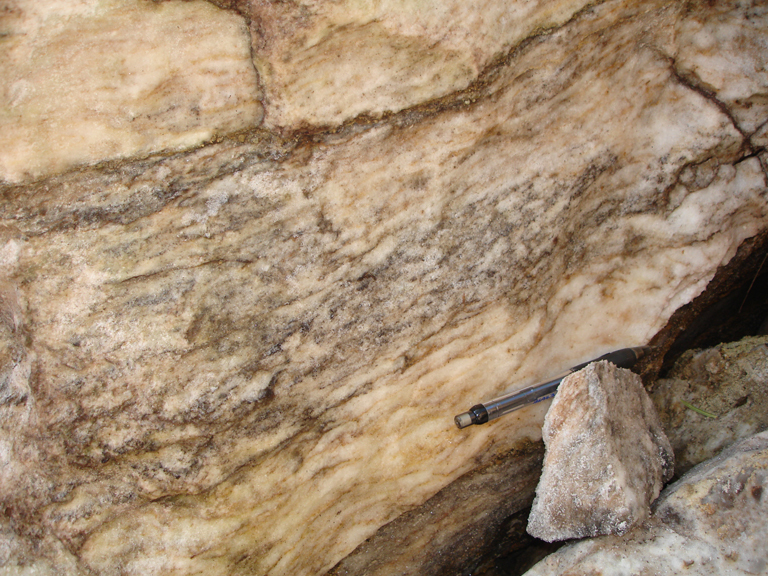 The second stop was at the remaining salt (gypsum) on the north end of the weld in the village of San Jose de la Popa. 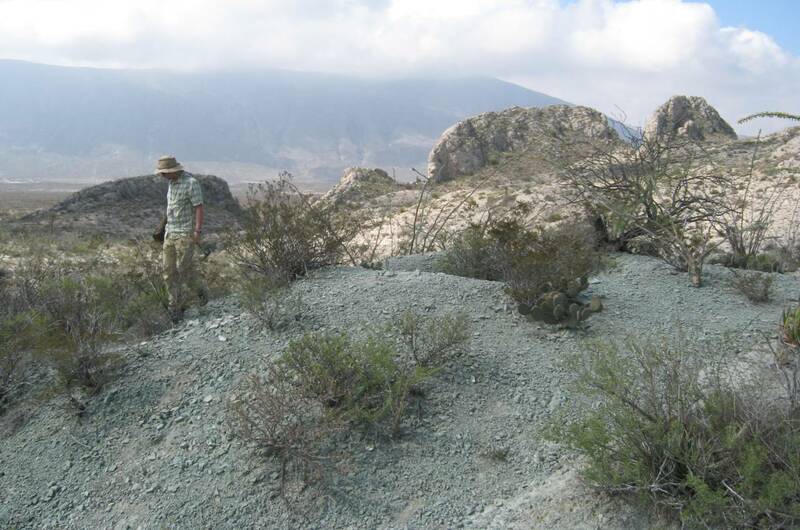 The third stop was at the base of the ridge capped by San Jose lentil where we were able to observe evidence of syn-depositional salt evacuation.